If you are looking for a new culture and climate to take your career to the next step, there are few better destinations than Germany. This major European country is welcoming to visitors from the States, and the many and varied cities within the nation boast access to all kinds of different career paths. Regardless of whether you work in corporate banking, mass media or are looking for a start-up to utilize your talents, the chances are good that you’ll find a great job in Germany. There are plenty of wonderful and exciting jobs available in Germany – the most difficult thing you’ll experience as a US national is qualifying for a work permit, as the country tends to prioritize placements for locals and members of fellow EU countries. If you’re waiting on an offer and wish to investigate the lay of the land, apply for a Job Seeker Visa – this will allow you to spend six months in Germany looking for work. Germany has a number of thriving industries that will cater for every level of experience and expertise. Cities such as Frankfurt have a sizable financial presence as well as acting as the home of a number of big pharma giants, while anybody seeking a career in IT or technology will find that Berlin is booming. Media careers are also prominent, even for those that only speak English (especially in Hamburg), and the car manufacturing industry is absolutely booming in a number of different cities and towns. With so much immigration and expansion, new jobs are being created all the time – which also make recruitment agencies a prime employer in Germany. There is all kinds of seasonal work available in Germany. Many of the cities within the nation have a thriving tourist industry that requires short-term assistance throughout the summer, the whole country goes nuts for the holidays so work will be available at Christmas markets, and a number of ski resorts in the Bavarian Alps will require help. The only problem you’ll have is actually qualifying for such tasks – a work permit for Germany is hard to come by, and will usually require proof of something considerably more permanent and lucrative. Asking which German city is best for finding work is akin to asking which flavor of ice cream is the best – they’re all great in their own ways, and it all depends on what it is that you’re looking for. If you want to join a fresh, young digital start-up, then Berlin or Stuttgart should be your first ports of call – you’ll find no shortage of young and hungry companies looking for talented new blood. 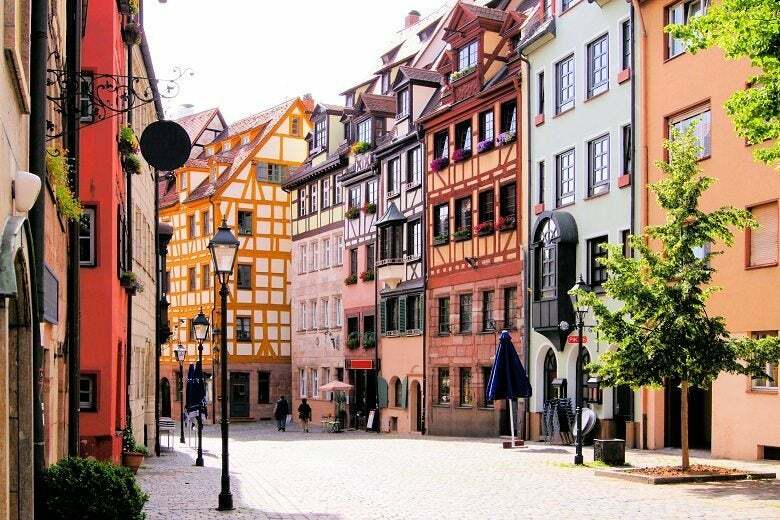 If you are in big business or corporate finance, Frankfurt will be your own personal land of opportunity, as it acts as one of the biggest economic hubs in the world. If your career passion revolves around the arts or media, look into Hamburg as your new home. If you have a background in engineering or car manufacture, try Munich (Germany’s strongest city in terms of economic infrastructure) or Wolfsburg. Whilst your resume can follow a similar format to a traditional US version, be extra vigilant about proofreading when applying for a job in Germany – a typo or spelling error could see your application tossed in the garbage before you even start. Stick to the important facts, too, without going into too much detail on work experience that is not relevant to the job that you are applying for. Typically two pages is the maximum length of resume that a German recruiter would be interested in reading. There are countless fellow expats all over Germany, no matter which city you are based in – it’s a truly international country. Just investigate your area once you’re settled. If you’re looking to network once you arrive in Germany, the first place that you should investigate is Xing, the country’s biggest networking portal. LinkedIn is used in Germany, but is not as widespread and popular as within the USA. German interviews enjoy elaborate answers so don’t limit yourself to simple yes and no responses – when provided with an open-ended question, run with the opportunity to really sell yourself. Keep to the facts however, as you’ll find that a German interviewer may talk over you if he or she feels that you are going too far off topic. Never address your interviewer by their first name – Thomas Schmidt, for example, is Herr Schmidt. If is Doctor Thomas Schmidt, address him as Herr Doctor – it is considered a social faux pas in Germany to neglect to use an earned professional title. Another interesting quirk of the German interview system is that it pays to arrive right on time. That doesn’t just mean don’t be tardy – it also means don’t arrive fifteen minutes early and make small talk with the receptionist (this actually makes most German businesspeople uncomfortable – business is business in Germany, and conversations about private and personal lives are reserved for friends and family). Also, it sounds obvious, but learn some German and demonstrate this during the interview – even if just during the salutations. You’ll more than likely find that your interviewer conducts the meeting in English, but demonstrating a little willing goes a long way. While there remains something to be said for looking through local newspapers and advertisements for work, the majority of vacancies are now found online. For work in Germany, take a look at the following sites.